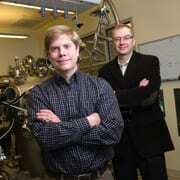 Quantum Semiconductor Systems Group teams with Microsoft to launch Station Q Purdue. Read more. Photo courtesy of Purdue University photo/Rebecca Wilcox.